Today's BU Athletics Hall of Fame Induction (see John Curry story below) will be live streamed beginning at 4:30 today. On Thursday night, former coach Jack Parker was named the 2014 Legend of Hockey recipient by the Hobey Baker Memorial Foundation at its announce banquet in St. Paul, Minn. The three-time winner of the Spencer Penrose Award was joined at his table at the banquet by a group of former Terriers who either are Minnesota natives or have won the Hobey Baker Award. Curry is about to receive his own recognition tonight as one of six Terrier athletes chosen for the 50th class to be inducted into the BU Athletics Hall of Fame. Induction will take place at the Metcalf Trustee Center at the BU School of Management. 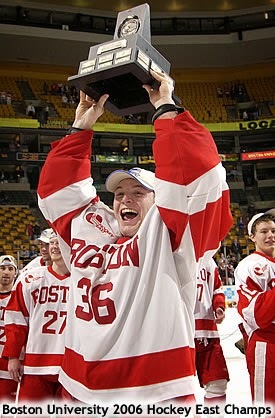 Curry, a fan favorite at Agganis Arena had a storybook BU career that took him from walk-on to first team All-American and Hockey East Player of the Year in 2007. 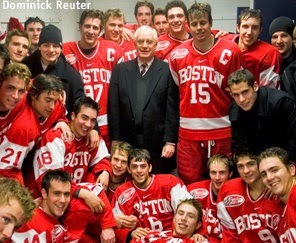 The previous year, he led the Terriers to the 2006 Hockey East Championship. Curry's professional career began in the Penguins organization and included stops in Germany, too. 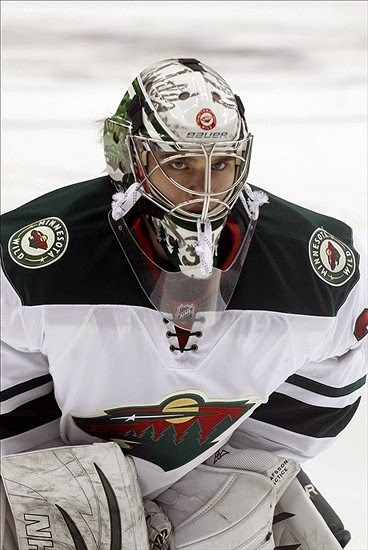 This past season, Curry started in the ECHL, moved up to AHL and eventually was recalled to the Minnesota Wild where he started and won one game and served as back-up goalie during the team's Stanley Cup playoff run. ● Curry is the 43rd Terrier hockey player to be inducted into the Hall of Fame. Arguably the best goaltender in the storied history of Boston University men's hockey, John Curry ('07) rewrote the record books during his stellar career and holds the program records for career goals-against average (2.07) and career save percentage (.923). He joined the team as a recruited walk-on, and after getting his first start early in his sophomore season, he never relinquished the role. Curry backstopped the Terriers to the 2006 Hockey East title and was named the 2007 Hockey East Player of the Year after a dominant season between the pipes that saw him become one of the 10 finalists for the Hobey Baker Award. He was one of the best performers in the history of the Beanpot, going 5-0 in the tournament while leading the Terriers to three straight titles. Curry was a two-time All-American, including a first-team nod in 2007, and signed a free-agent deal with the Pittsburgh Penguins following graduation. 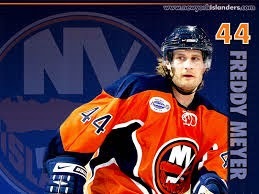 The Shorewood, Minn., native earned a win in his NHL debut on Nov. 26, 2008, and spent four seasons within the Penguins organization. 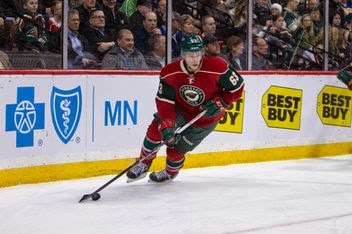 Curry played a year in Germany, which concluded with a spot on Team USA's squad at the 2012 World Championships, and returned to the NHL in exciting fashion by coming home to play for the Minnesota Wild organization this past season. Former Terrier Head Coach Jack Parker has been named the 2014 recipient of USA Hockey’s Distinguished Achievement Award (scroll down for bio) to be present on June 6th in Colorado Springs during the President’s Awards Dinner. The Distinguished Achievement Award is presented to a U.S. citizen who has made hockey his or her profession and has made outstanding contributions on or off the ice to the sport in the United States.A three-time winner of the Spencer Penrose Award for Division 1 coach of the year, Parker led the Terriers for 40 seasons, amassing 897 wins—third most among D1 coaches, and the most at any one D1 school. His teams won three NCAA titles: 1978, 1995 and 2009. 2015 recruit Vas Kolias (5-9 LD, Chicago Mission) was the fourth pick overall (and first d-man) in the USHL's dispersal draft. Selected by Youngstown, Kolias will join 2015 recruit Maxim Letunov on the Phantoms next season. Recently crowned USHL champ Indiana has suspended operations for next season due to arena issues. Former Terrier Sam Kurker, who joined the Ice in January, was also picked in the first round, by Sioux City, and reportedly will play another USHL season. 2014 recruits Johnathan MacLeod and Brandon Hickey, both defensemen, are among 119 highly regarded draft prospects who began the 2014 NHL Combine yesterday in Toronto. 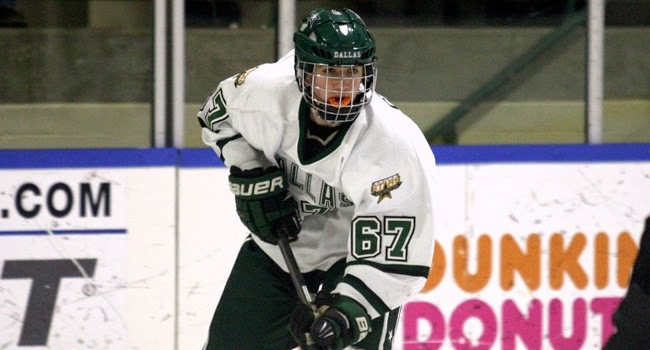 2016 BU recruit Hank Crone's Dallas Stars Elite U16 coach sets the bar high for the high skilled forward who will spend the next few seasons with Omaha. This past season he registered 40 points (17 goals, 23 assists) in 31 games with the Stars Elite U16 team. Two-time Olympic gold medalist Marie-Philip Poulin has been named captain of the 2014-15 Terriers. Serving as assistant captains will be Shannon Stoneburgh and Kayla Tutino. Poulin returns to BU after taking a year off for the Sochi Winter Olympics, where she scored the tying goal and then the overtime winner in the gold-medal game to lead Canada past the USA, 3-2. She had served as co-captain of BU’s 2012-13 squad that reached the NCAA championship game. Poulin’s selection to lead BU earned her a Twitter shout-out from Canadian Prime Minister Stephen Harper. Congrats to @Pou29 for being named the 2014-15 @BUwhockey team captain. I’m sure you will continue to represent Canada with pride. Stoneburgh has been a blueline standout for BU during the past three seasons, appearing in all BU’s games as a sophomore and junior. Tutino returns to the BU lineup after missing much of last season due to an injury. She was a Hockey East All-Rookie selection as a freshman. Terrier assistant coach Katie Lachappelle has been named by USA Hockey as an assistant for the 2014-15 US U18 squad. Lachappelle, recipient of the 2013 Women's Ice Hockey Assistant Coach Award from the American Hockey Coaches Association, was a former captain and ECAC all-star at Providence. 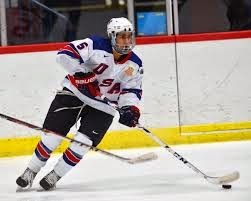 The Terriers’ 2014 recruit class grew a bit larger and significantly more talented as left-shot NTDP U18 defenseman Brandon Fortunato gave a verbal to BU today. The 5-9 blueliner from North Hills, N.Y., had recently decommitted from Harvard and reopened his recruitment. CHN’s Mike McMahon reports Fortunato made his final choice between BU and Union College, with other leading Hockey East school also involved. 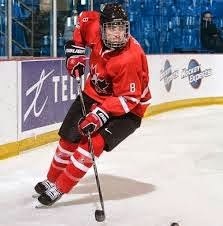 He joins U18 teammates Jack Eichel and Johnathan MacLeod as incoming Terriers. Congrats to my best friend/roommate/ and brother @BFortunato5 on committing to @TerrierHockey. Can't wait to keep playing with you. who won the 2012 Tier I 16U national championship (3-11-14 in 22 games). The Royals’ championship season was the subject of an episodic documentary that aired on NHL Network and on nhl.com. Two episodes featured Fortunato and his father. Following a strong performance in the 2012, Select 16 Development camp he was named to the US U17 Selects for the 2012 Five Nations Tournament in the Czech Republic, where he helped win a gold medal. 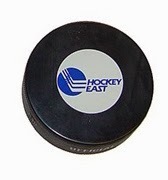 Hockey East has finalized plans for an expanded post-season tournament. With the addition of Connecticut, the conference numbers 12 teams and all of them will participate in the championship tournament. A best of three opening round will match seeds #5 through #12, followed by a best-of-three quarterfinal round in which the opening round winners will be hosted by the seeds #1 through #4. Single-game semifinals and championship game follow a week later. ►The Terriers 2014-15 schedule is not yet completed, but you can check this Website that shows confirmed games for each of the Division 1 college teams. 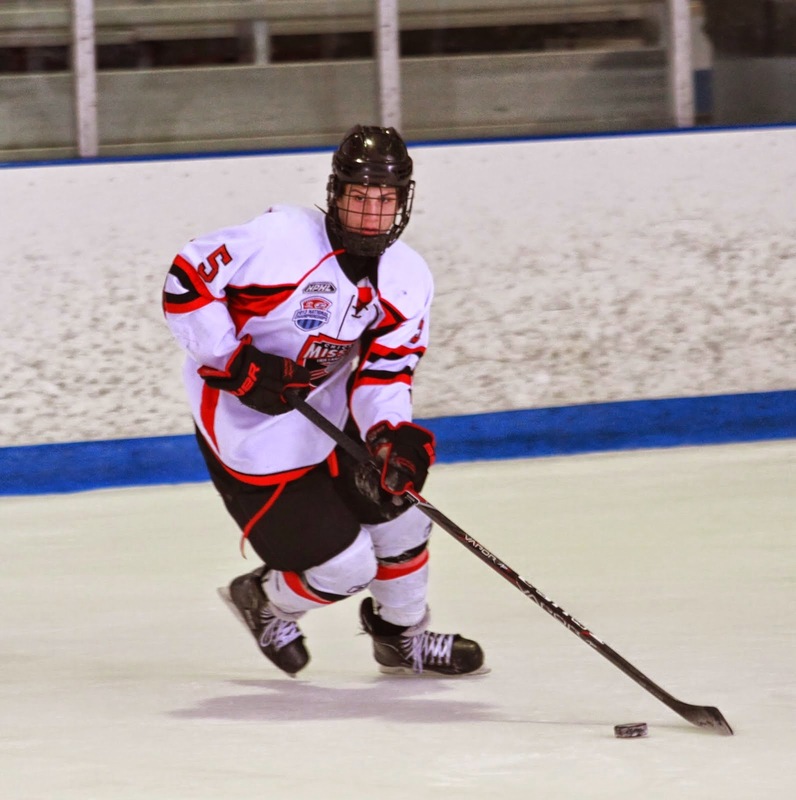 2015 recruit Shane Starrett was named to the all-tourney team at last weekend’s ProAm Hockey PreDraft Showcase. The 6-5 netminder from Bellingham, Mass., backboned Team EPS to the championship game. Playing three playoff games on Sunday, Starrett yielded just one goal in the quarterfinal and semifinal games, before EPS lost 3-2 to Canada West Red in the title game. In three preliminary round games, Starrett, who previously played for Catholic Memorial, Selects Academy and the Portland Jr. Pirates, recorded a 1.38 GAA. Starrett reportedly is deciding whether to play for the South Shore Kings (USPHL Premier) or in the BCHL next season. 2014 recruit Liam Coughlin scored a power play goal and added an assist for Vernon in a 6-4 win over the Yorkton Terriers in the RBC Cup, which is Canada’s Junior A Championship tournament. Coughlin was named player of the game for Vernon, which evened its record at 1-1 in the five-team tournament hosted by the Vipers. 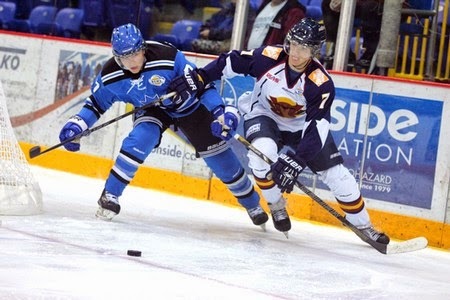 Coughlin, a 6-3 left wing from South Boston, who previously was Starrett's teammate at Catholic Memorial, had an 18-27-45 scoring line in 53 regular season games for the Vipers and added 13 points in the BCHL playoffs. Nick Bonino’s fourth post-season goal gave Anaheim an early lead as the Ducks edged the Kings, 4-3, to take a three games to two lead in their playoff series. 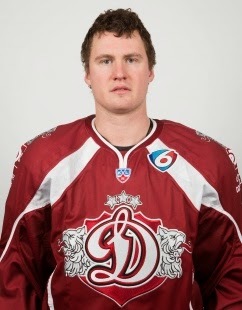 The former Terrier captain rifled home a wrist shot from the bottom of the circle to the goalie’s left just 2:15 into the first period. Earlier this week, the versatile Bonino took on another role, interviewing teammate Cam Fowler for ESPN. Former BU MVP and All-American John Curry, who began the season in the ECHL with the Orlando Solar Bears, is getting his first taste of Stanley Cup hockey, even if it is from the Minnesota Wild bench, backing up Ilya Bryzgalov. He discussed the experience with the Twin Cities Pioneer Press. On May 31, Curry will be inducted into the BU Athletics Hall of Fame. The Wheeling Nailers, coached by former BU standout Clark Donatelli, had their season end in the ECHL Eastern Conference semifinals. Sahir Gill, who led the Nailers in regular-season scoring with a 13-41-54 line, was co-leader in the playoffs with nine points.